Pros: Light weight, very warm! 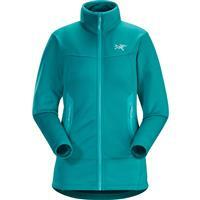 Love this jacket, perfect for Fall/Spring weather and layering for the mountain. Blocks the air so you don't get chilled. Great fit! A very comfortable jacket to be worn in milder temperatures. 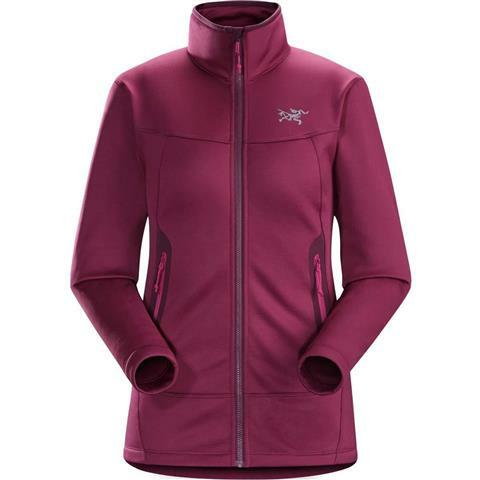 The Arcteryx designs allows for unrestricted movement whether skiing or golfing. Great looking fleece and toasty for winter. Looking for a long layering piece that actually covers the top of your pants? Say HELLO to the Arenite fleece!!! On top of being a great length, this is a great stand alone piece for crisp fall days or layered with your favorite shell or jacket for being out in the elements. Because Arc'teryx started as a climbing company, you don't have to worry about feeling restricted in any of their pieces. Stretch fabric allows the jacket to move with you so you never feel like you're struggling against your clothes! Take it climbing, skiing, hiking, boarding or throw it on for a football tailgate. Check out the hooded version if you prefer a little additional protection!